Refuel on Nuclear Power – the Silver Bullet!!! Abundant because breeder reactors eat nuclear waste! America’s nuclear waste worth $30 TRILLION! Fuel from seawater for a billion years! Close Yucca Mountain and build Energy Parks out in the desert. If we listen to him on the problem of Global Warming, why not the solution? According to his peer-reviewed network the Science Council for Global Initiatives (SCGI) wind and solar are too intermittent and unreliable to run the modern world, and yes they’ve studied Amory Lovins and the various papers that keep popping up claiming otherwise! 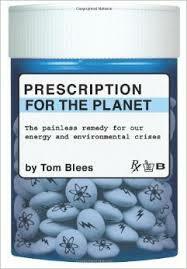 Please download the free book from the SCGI, Prescription for the Planet by Tom Blees. James Hansen recommends this book. Wind and solar cost might compete with grid power when they work, but the problem is they are mostly OFF, require vast overbuilds, and cost way too much to back up! Indeed, it appears one could buy Tesla’s batteries to store one week of power for Germany (which can need 3 or 4 weeks of storage in winter!) OR run the whole of Germany for 60 years on nuclear power! For more: Why renewables cannot work! 2. Safe: for more click Nuclear power is safe! Believe it or not, nuclear power is thousands of times safer than coal. Coal kills as many people as 650 Chernobyl’s each and every year! Just look at the deaths per terrawatt graph below! Indeed, people could move back to most of the Fukushima zone and much of the Chernobyl area, and new reactor designs would easily have survived both the Chernobyl and Fukushima situations. … Nuclear power is cheaper than power from renewables and soon will be cheaper than coal. 4: History shows us nukes are the fastest to deploy! 5. Abundant because breeder reactors eat nuclear waste! Today’s Light Water Reactors only use 0.6% of the energy in the uranium, leaving it ‘hot’ for 100,000 years! What we call nuclear waste today is mostly unused fuel, which is why it stays ‘hot’ for 100,000 years. Imagine nuclear ‘waste’ is like wet firewood, full of potential energy but still ‘wet’. You could dump it in the fire, but that would put the fire out. Instead, you put it around the edge of the fire so it collects heat and dries out, and is ready to burn. There are special reactors that operate much like this. Old fuel rods are set up around the nuclear ‘fire’ in the core to absorb neutrons and transmutate into new fuel. They ‘breed’ more fuel than they use, and so are called breeder reactors. The bottom line? Nuclear ‘waste’ becomes an abundant energy source. There is already so much nuclear waste that the UK has enough ‘waste’ to run her for 500 years, and America has enough to run her for 1000 years! Molten Salt Reactor (MSR) — my favourite reactor! 6. America’s nuclear waste worth $30 TRILLION! Now that we understand that nuclear waste is mostly unused fuel, we can learn some startling new facts: America has enough waste to run her for 1,500 years and this has been estimated to be worth $30 TRILLION dollars! The United Kingdom has enough waste to run her for 500 years. When we finally run out of today’s waste in 500 years my guess is we might not even need fission reactors any more. 7. Fuel from seawater for a billion years! Barry Brook:…. So instead of getting less than 1% of the energy out of uranium, these fast reactors get about 99.8% of the energy out of it which means they’re incredibly more efficient in terms of using the uranium resource. And actually we’ve mined enough uranium already to run the whole world in these reactors for about 500 years. Robyn Williams: So the old argument about running out of uranium isn’t on any more? Barry Brook: We may run out in 50,000 or so years if we powered the whole world by uranium, but then we’ve got about four times as much thorium to use as well. So the argument that we’ll run out of uranium is a dead duck. Uranium from seawater is the forever machine! We can extract uranium from seawater at $300 a kilogram. This is about the size of a golf ball and could power your entire life, cradle to grave. That includes all the electrical power to recharge all the boron we’d ever need to replace oil. See Prescription for the Planet. All the fuel for that, from seawater, for just $300 per human lifetime! (The reactors themselves are the more expensive bit, the fuel is dirt cheap. In fact, I just recently did some major gardening in my front yard and spent far more than that on dirt!). As mountains rise and continents move the weather grinds uranium dust back down into the ocean faster than we could use it. This is how Gen4 nukes could run the world for a few hundred million years on the uranium in sea-water. The wiki on uranium from seawater documents a number of new technologies for collecting uranium from seawater in bulk. But right now that’s simply not our problem. Getting uranium from seawater is a problem we can look at in 50,000 years, and who knows what kind of space-based civilisation and solar energy systems we might have by then? 8. Close Yucca Mountain and build Energy Parks out in the desert. Yucca Mountain and other similar schemes worldwide are now a complete waste of money. Yucca Mountain is like digging up our sweetest crude, refining it into the highest octane jet fuel — only to bury it again for 100,000 years! It’s absurd. We should burn it instead! 5 Responses to Refuel on Nuclear Power – the Silver Bullet!!! [2. We’ve already built the prototypes! Some of them have run for 30 years or so, such as the EBR11 in Idaho, the Phenix reactor in France, and the BN-600 in Russia, who also had the BN-350 which produced desalinated water as well. Cheers. As you can tell, this is a radical change in my thinking and as such the whole blog is currently getting a work-over. I don’t pretend to be an expert, and hope my writing doesn’t come across as such. Rather, I feel like a ‘reporter’ putting together whatever fragments of information I get from you experts, and how that motivates me and what I hope can be achieved for the world. BTW – if you have any great pages / links on nuclear ‘walk away’ safety, I’d be glad to add them into the summary above.